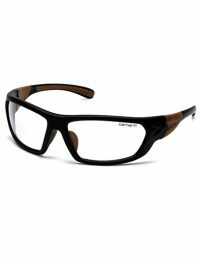 The Carbondale safety glasses is flexible with dual injected temples and stylish clean lines. Perfect fit for the toughest jobs with a stylish comfortable fit. 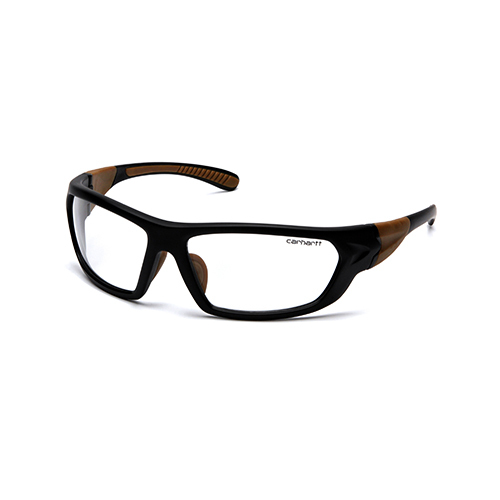 The two tone frame is accentuated by the flexible rubber nose. Note: Clear Lens: General purposes for indoor applications that require impact protection.